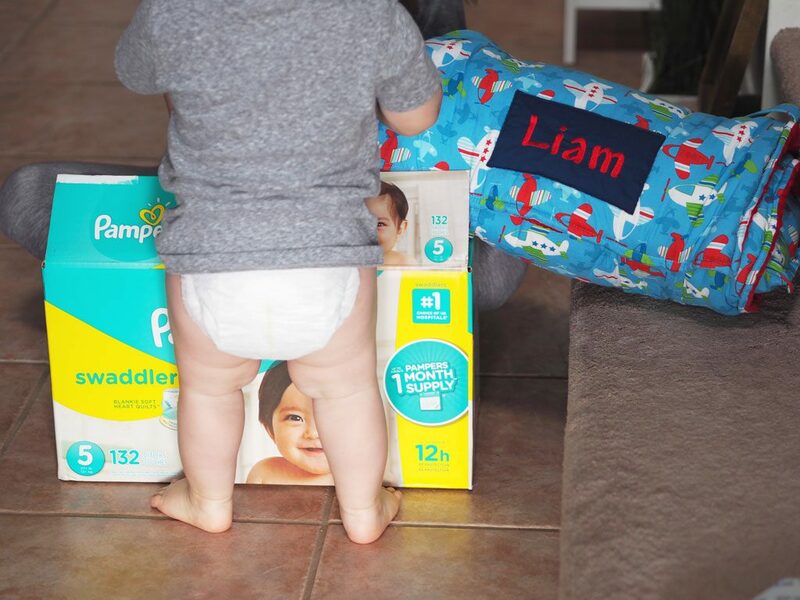 Thank you to Pampers for partnering on this post. 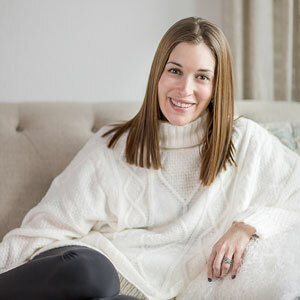 Pampers is a brand we use and love. All opinions are my own. Liam started Mothers Day Out Preschool on August 20th. We had a lot of worries, excitement, feelings, thoughts, and emotions going into that day. We were so excited for him, but we were worried how he would adjust. Would he miss us? Would he cry? Would we cry? Would I feel weird without him with me all day? We had so many questions. My biggest was would he be comfortable? Comfort is key when you are away from your environment. Everyday when I send Liam with his school bag I make sure his comfort items are in there: paci’s, his lovey aka lambie, and of course new Pampers Swaddlers with Heart Quilts™. 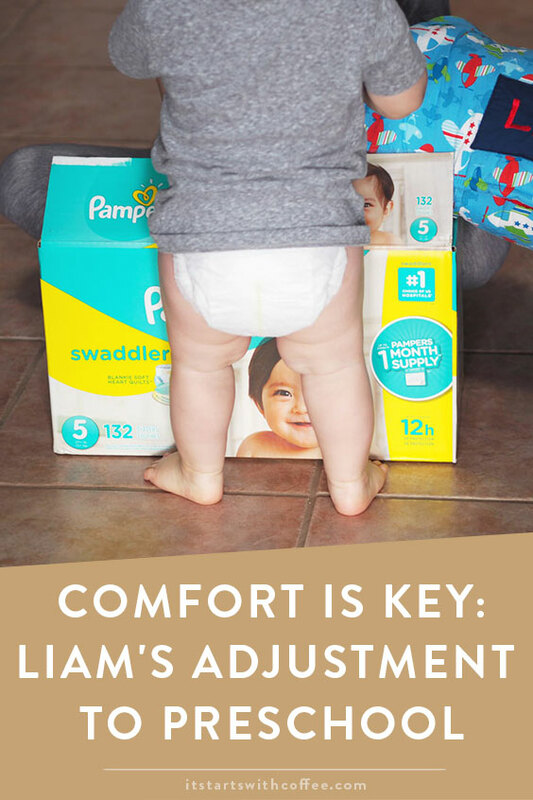 Pampers believes that comfort is key and knowing that babies are in their diapers 24/7 they want to make them as comfortable and worry free as possible. Having strong protection like new Pampers Swaddlers with Heart Quilts™ is so important! Upgraded Pampers Swaddlers are 2x softer for Pampers softest comfort and best protection ever. When I was in Cincinnati with Pampers we got to physically dissect them and see every single part of the diapers and how they are made. 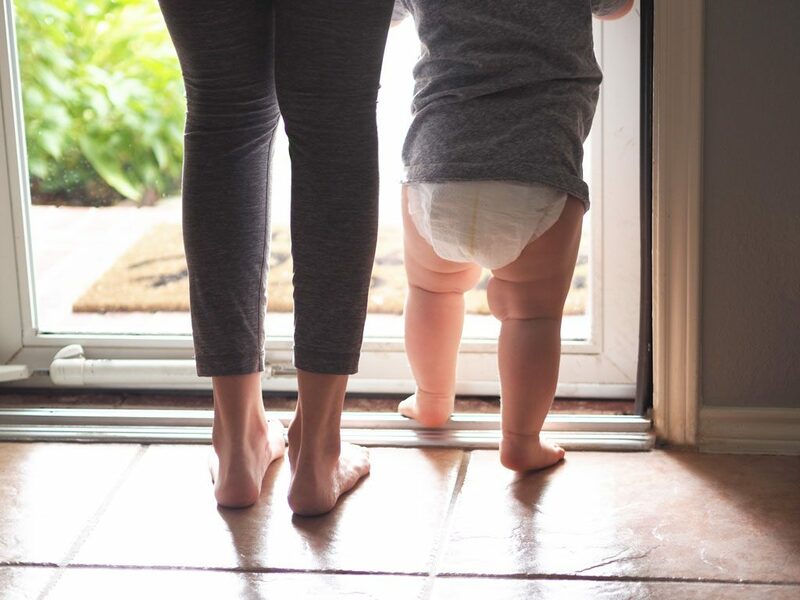 They put so much love and care into the development and making sure the diapers are made for those little booties to stay comfortable all day long! 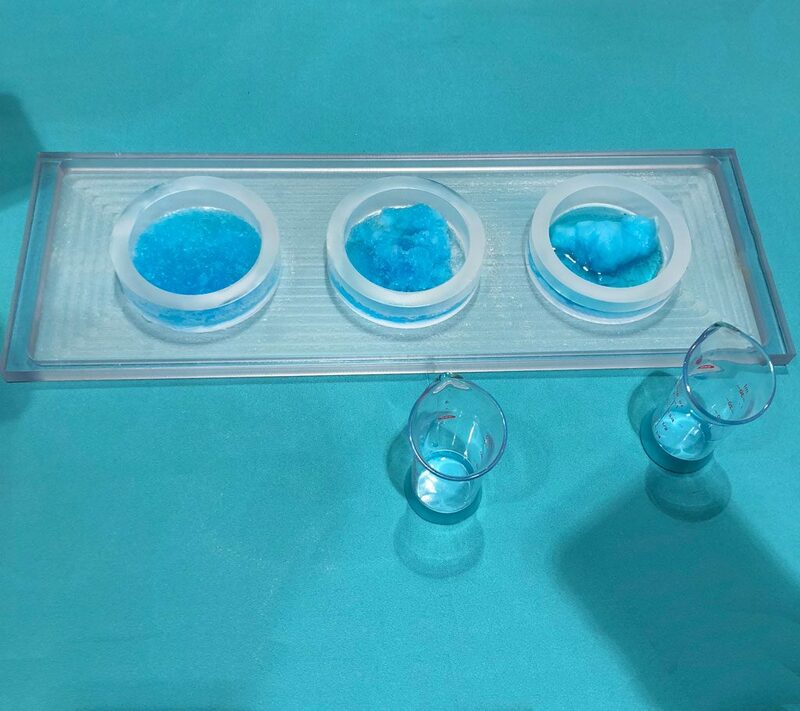 Pampers is the number 1 Choice of hospitals, nurses, and parents. They are absolutely our number 1 choice! We also have a routine in the morning. We have our before school at home routine with breakfast, getting dressed in our school clothes, packing lunch, and hyping up school. We literally play hype music for Liam in the morning. His favorite as I have mentioned is Taylor Swift aka Tay Tay. When driving to school I ask Liam where we are going. He says “School School!” He knows he will see his friends and teachers. Once we get there he is so excited to walk in. At the door to his classroom we do two hugs and two kisses and I remind him mommy always comes back! Then we say bye bye, see you later, and have a great day! Having a routine is SO important, and as I hand his bag over to his teacher full of his comfort is key items like loveys and his new Pampers Swaddlers with Heart Quilts™. I know he is in for the perfect comfortable day! I know one reason he has napped so well at school too (I know I am shocked!) is that he is swaddled in his Pampers Swaddlers and he is dry and protected during the oh so important nap time! The Air Channels™ allow air to reach baby’s skin to help keep them dry and comfortable. So of course he sleeps well. They also provide up to 12 hours of protection! If you have a little on in school I would love to know what your routines and adjustments have been like! Looks like you’re doing everything you can to help him adjust! Pampers was the only brand of diapers that I used when my son was little. It sounds like he is really enjoying school. So glad your son adjusted well to preschool. My little nephew just started and he loves it! I’m a Taylor Swift fan too! 😊 Liam is going to be great tho, he seems very enthusiastic during school! How is he in school already? Time flies! Love those cute chubby legs. I know that Pampers was my sister’s preferred brand for my niece. Super reliable. We only use Pampers. I have tried a few others but they never fit as well. This is definitely my only diaper brand I’ll ever use! When ours were in preschool it was all about consistency. Dropping them off at the same time every day and being there before it let out. They adjusted pretty quickly! For me to keep my kids even if I am sending them to their school I always give their favorite biscuits, drinks or hair clip for my elementary and for my toddle is his favorite toy. Ahhh I love the little morning routine! Sounds like little Liam has adjusted well 🙂 And so adorable that Taylor Swift is his favourite – love that!! I am happy to know that Liam adjusted well to preschool. I also remember my kids first day to school. I was so worried and anxious. Little did I realize that our kids are stronger than we think and they can handle themselves well in new situations. I never had to worry about my kids in diapers in school. It never seemed to bother them when they were wet. I did not have any separation anxiety issues when my kids started preschool. I guess because I let them learn social skills by mingling with other kids, so a new environment with kids their age did not pose a problem. Routines are great, especially for little ones. I’m glad Liam loves school.